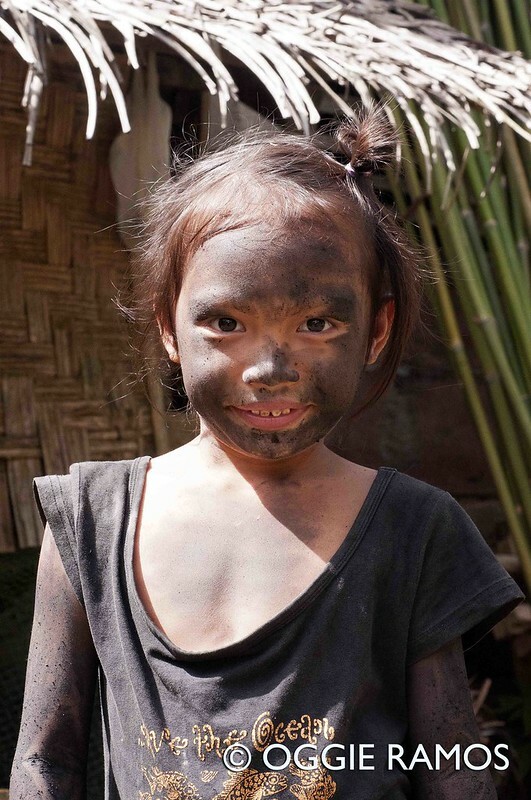 Browsed my photo album on El Nido and found this gem to share, a little girl covered in soot for the Barutuan festival. It was pretty hard not to notice her even in a motley group busy raiding the backyard kitchen for soot from the bottom of a large kawali. Proves to me that innocence is something you find, not project or make up. This reminds me of what I recently read in a back issue of Outside Magazine that included Palawan in their list of new frontiers. Tim Neville writes "Palawan is one of the world's best kept tropical secrets -- a 1,764 isle, karst, banyan fantasyland of black cliffs, mint-hued lagoons, and blindingly brilliant reefs". Thanks Tim and I'd like to add "warm people" to that glowing snippet because in my mind, a beautiful place bereft of warm hospitality is rather one dimensional.